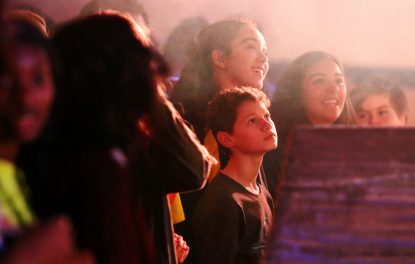 The 2019 AbbeyFest Concert Series kicked off Thursday, March 21 at Monsignor Bonner and Archbishop Prendergast Catholic High School in Drexel Hill with an evening of faith-filled family entertainment. 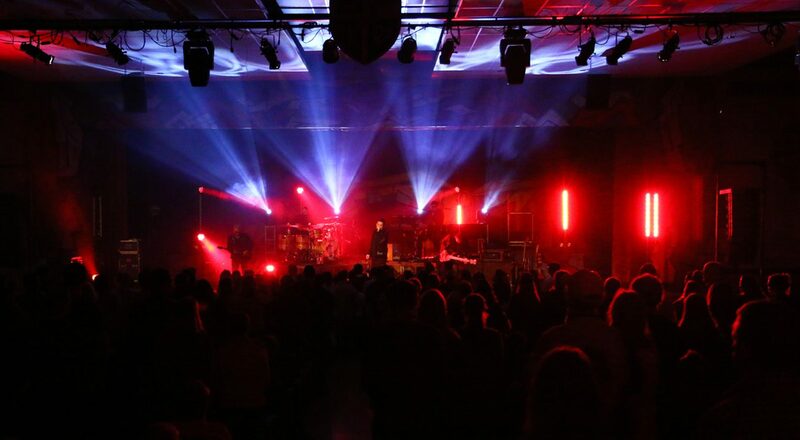 Headlining the list of performers was Unspoken, an American Christian band that has become one of the most popular contemporary worship-music acts. Northpoint InsideOut, a worship band from Georgia, also played before an audience of approximately 500 of all ages. AbbeyFest started in 2014 and the event last week marked the first time that the annual September event began with a concert series in its five-year run. The concert at Bonner-Prendergast put people in the spirit of AbbeyFest, according to organizers, especially since this marked exactly six months before the date of this year’s festival, Sept. 21, on the grounds of Daylesford Abbey in Paoli. This was also a good way advertise AbbeyFest. While it becomes more popular each year, not everyone across the Philadelphia Archdiocese is familiar with it. Therefore, having the concert at Bonner-Prendergast helped those in the surrounding area pick up additional information about the event. In addition to enjoying the music, folks learned about various ways they can volunteer to make this year’s big day better than ever. They can help through website support, accounting, fundraising and serving as ambassadors in the local churches. “We’re constantly in need of volunteers to get word out of AbbeyFest events,” said Griswold. Another selection was “Mistakes” written by Chad Mattson, a member of the band. He wrote it for his son to make him understand that his father still loves him despite his flaws, and Mattson realized the message could benefit him, too. For the finale, Northpoint InsideOut joined Unspoken to sing “Call It Grace” as a reminder to the audience that they sometimes receive what they don’t deserve. After the performance, fans were able to meet the band members in person and pose for pictures in the lobby. 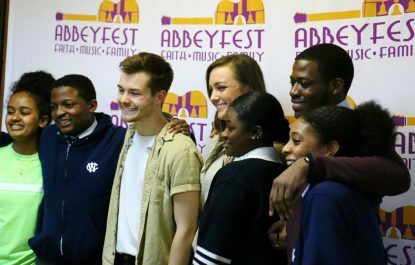 While some who came out for this concert have attended AbbeyFest before, others have not, including Khahn Psam and Molly Murphy, two juniors at Bonner-Prendie who hope to make it to this September’s festival. In addition to getting into the spirit and learning how to volunteer for the coming sixth annual festival, organizers told attendees how they can win AbbeyFest tickets and purchase them now at a discounted price – visit TheAbbeyFest.com for more details. Crowds for AbbeyFest have increased from 4,000 in 2017 to 4,500 last year, so organizers have set higher sights for this year. “We want to beat 5,000,” said Griswold.